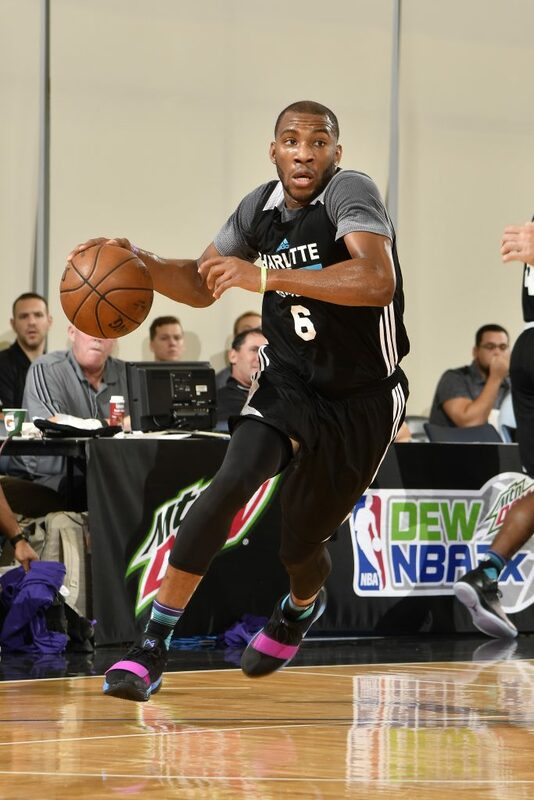 The Greensboro Swarm, the NBA G League affiliate of the Charlotte Hornets, will see four players from the team’s inaugural season roster compete in the 2017 Orlando Mountain Dew Pro Summer League this weekend. Swarm players Rasheed Sulaimon and Devin Williams both earned spots on the Hornets 15-man roster, which is set to begin play today. Sulaimon (6-4, 195, Maryland) played in 49 games (34 starts) for Greensboro last season. The guard averaged 13.3 points on 43.7 percent shooting, along with 3.8 rebounds, 3.2 assists and 1.3 steals per game. His best performance of the season came against the Long Island Nets on February 3 when he dropped 30 points, seven boards and five assists to lead the team to a 126-108 victory at the Fieldhouse. 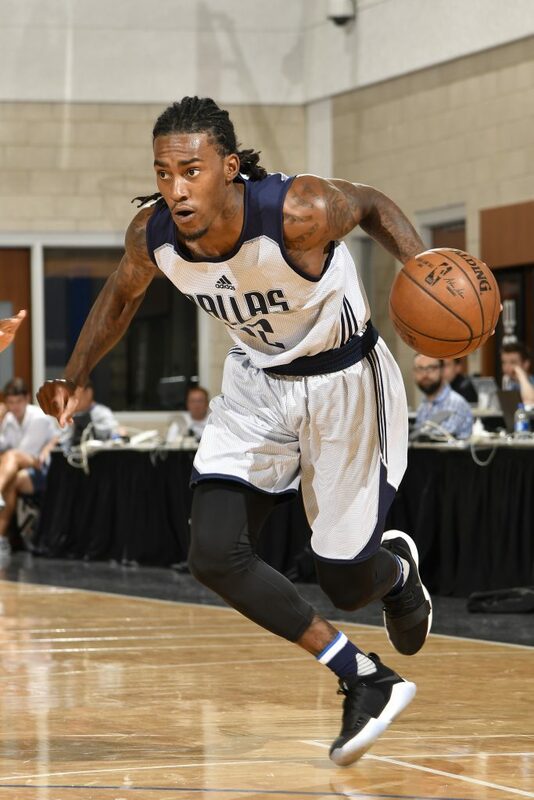 Williams (6-9, 255, West Virginia) appeared in eight games for the Swarm after being acquired by the team off waivers on February 14. The forward averaged 3.3 rebounds and 2.9 points per game off the bench for Greensboro. Prior to joining the Swarm, he played for the Melbourne United of the National Basketball League, the professional league of Australia and New Zealand. In addition to Sulaimon and Williams, two Swarm players will represent opposing teams over the course of the six days in Orlando. Center Mike Tobey (7-0, 260, Virginia) earned a spot on the Detroit Pistons Summer League roster, while guard Cat Barber (6-1, 175, North Carolina State) will play for the Dallas Mavericks Summer League team. Greensboro will also have a presence on the Hornets’ sideline during the competition, with Swarm Head Coach Noel Gillespie joining the Hornets assistant coaching staff. The Hornets tip off their first of five games today at 11 a.m. against the Miami Heat. NBA TV will televise all games of the Mountain Dew Orlando Pro Summer League, including all the matchups on the Charlotte Hornets schedule, listed below. July 1,	Miami Heat,	11 a.m.
July 2,	Indiana Pacers,	5 p.m.
July 4,	Oklahoma City Thunder,	1 p.m.
July 5,	Detroit Pistons,	3 p.m.